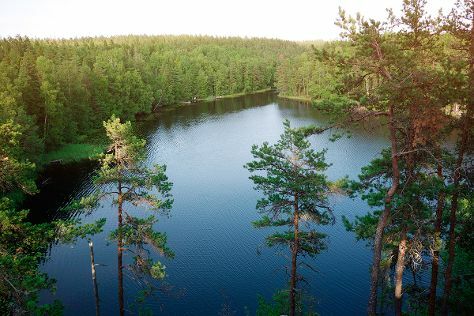 You'll find plenty of places to visit near Turku: Pargas Lime Stone Quarry (in Parainen) and Nuuksio National Park (in Espoo). There's much more to do: step into the grandiose world of Turku Castle, contemplate in the serene atmosphere at Turku Cathedral, browse the different shops at Turun Kauppahalli, and browse the exhibits of Forum Marinum Maritime Centre. To see reviews and tourist information, use the Turku trip itinerary maker app . If you are flying in from Hong Kong, the closest major airport is Turku Airport. In April, plan for daily highs up to 9°C, and evening lows to -1°C. Cap off your sightseeing on the 22nd (Mon) early enough to travel back home.